PJ Wright & Associates can provide advice about natural and liquefied petroleum gas designs for all types of buildings from high use commercial projects such as restaurants and commercial laundries, to industrial projects of all sizes. We provide cost efficient gas service designs that comply with AS 5601 and provide the gas fitter with clear and precise instructions in relation to the installation. We continually liaise with the Office of Energy Safety and the various supply agencies to ensure that our advice meets all the specifications in relation to the supply and availability of either natural gas (NG) or liquefied petroleum gas (LPG). 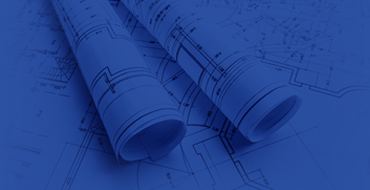 In consultation with all stakeholders associated with proposed project, PJ Wright & Associates can develop a scope of works in relation to the gas requirements required to fulfil the client’s requirements, ensuring that the design solution will fulfil the statutory requirements, codes, and standards. We can also advise in regard the availability and feasibility of utilising gas within a development and provide advice on specific gas appliances and equipment that will ensure the gas design solution is efficient and cost-effective. PJ Wright & Associates can advise on what may be needed to gain the necessary approvals for ventilation and fluing as well as control systems. Our meticulous documentation will provide a full and comprehensive design enabling all stakeholders including the gas authority, gas supplier, installers and end user to clearly understand all requirements and limitations of the gas service. In addition, we undertake close consultation with mechanical services engineers and kitchen/laundry equipment suppliers who may have specific requirements that need to be addressed. At PJ Wright & Associates, our professional team can provide you with all the relevant information required to allow you to make the best-informed decision for your gas services.